The top personality types who earn the most money have common traits. Firstly, they start with a big dream or an idea. Secondly, they are fabulous salespeople and can sell it to the ‘right’ people to gain emotional, intellectual and financial support. These salespeople know what they need and who they need and know how to get it. Thirdly, these personality types are realists and prepare themselves for setbacks and failure along the way. Failure does not scare or intimidate them in the least. They view failure as a stepping stone toward success. ENTJs, ESTJs, ESTPs and ISTJs are among the personality types that earn the most money. According to the Myers Briggs Trait Indicator (MBTI) questionnaire, there are 16 different personality types. Each personality type is represented by four letters, one letter from each of the following pairs: E (extrovert) or I (introvert), S (sensing) or N (iNtuition), T (thinking) or F (feeling) and J (judging) or P (perceiving). 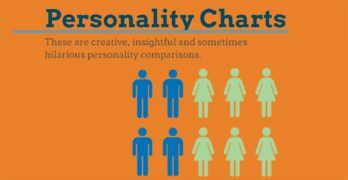 Personality types with similar traits can further be grouped into categories: Rationalists (ENTJs, ENTPs, INTJs and INTPs), Guardians (ESFJs, ESTJs, ISFJs and ISTJs), Artisans (ESFPs, ESTPs, ISFPs and ISTPs) and Idealists (ENFJs, ENFPs, INFJs and INFPs). The following discussion provides an overview of why ENTJs, ESTJs, ESTPs and ISTJs earn the most money. Walter, an ENTJ, is the personality type that generally earns the most money. Walter belongs to the Rationalist category. Walter is a practical future-oriented visionary who cannot be deterred from his goal. He is energized by using his extroverted (E) personality and smooth talking skills in social situations with like-minded individuals who either have or are their way to making lots of money. Walter’s intuition (N) is phenomenal in that he is able to read people and sell them new creative ideas, sell them ordinary ideas with a new slant and most of all is successful in making others think they need or want his latest initiative. Walter does not give up easily and knows if his first attempt at getting buy-in is not successful, the second or third one will be. Walter can negotiate himself in and out of any situation usually coming out on top. Walter is not an easy person to work with as his logical and analytic decision-making (T) process does not tolerate incompetence or inefficiency in himself or others. If you do not measure, you probably will be looking for new employment. Walter’s organized long-term goal is approached from many angles and is underpinned in structure, organization and total control (J). These are some of the reasons why Walter’s personality type is so successful making money. Maria, an ESTJ, also known as an Overseer, has a personality type similar to Walter’s. Maria’s personality type is also generally among the highest earners. Like Walter, Maria is a practical visionary, with income-focused goals and is an extrovert with all the necessary social and negotiating skills. In contrast to Walter, Maria focuses more on present and concrete facts combined with experience. She needs to be on top of her endeavors at all times so she can decide what, if anything, needs to be changed or be implemented on the spot. Maria has strong beliefs, good morals and a tendency to follow the norm more than Walter. These traits help her tap into what needs to be said to persuade buy-in for ideas and what to say to employees to get the most out of them. Maria expects others to have high standards and follow the rules. Like Walter, Maria does not tolerate incompetence or inefficiency (T). Maria’s decision making approach is similar to Walter’s, except for the ‘now’ versus ‘future’ trait. Maria also approaches decisions from many angles and her personality type is based on structure, organization and total control (J). These are just a few of the reasons ESTJs are among the top earners. ESTPs, or the Persuaders, have similar personality types as the two mentioned above and earn almost as much money. Keeping the money is a different story as ESTPs bank account balances may fluctuate. For example, an ESTJ’s (like Maria above) earning power is based on a long-term strategic plan with both long and short term goals. The ESTJ regularly evaluates milestones and over all progress to prevent veering off course in an effort to minimize operational and financial problems. In contrast Joyce, and ESTP, does not have a methodological approach for monitoring her project or a backup plan for glitches, so she irrationally intervenes with a quick fix in response to operational and financial problems when they arise. This risky type of behavior works for Joyce. Sometimes her quick fixes work and sometimes they do not. They may be among the top earners one day and at the bottom the next. They love the competition and winning so much they are prepared to accept the consequences when things go poorly. 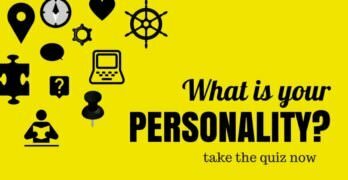 There are many more personality types that earn a high income, just not as high as the ones above. No one makes a fortune working for someone else or in a small private business. Even if you do have a high income and save every penny, you probably will not become a millionaire. Just remember money is not everything!